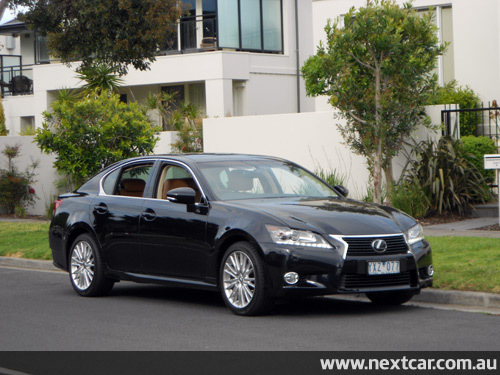 Lexus has been busy this year with new and updated models arriving regularly. The brand's new font-end appearance is a distinctive element of the styling and it is spreading right across the range, including the GS which we have been sampling. 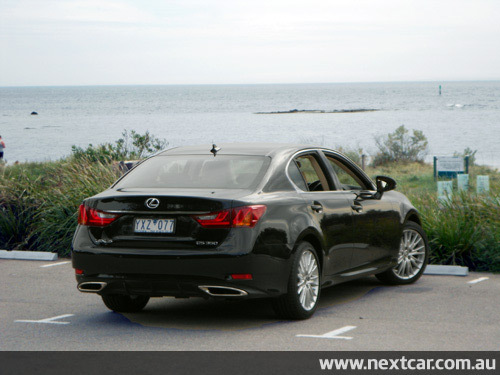 Lexus offers several versions of the GS 350. 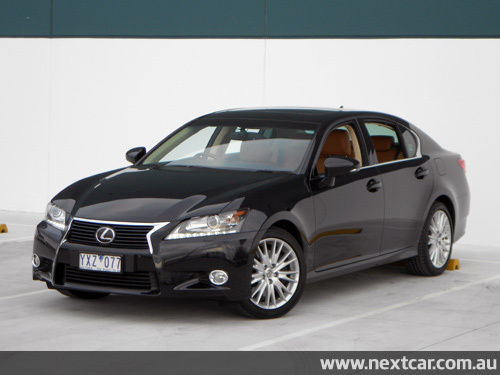 The test car was the GS 350 Sport Luxury, which is the top-of-the-line amongst the 350s. 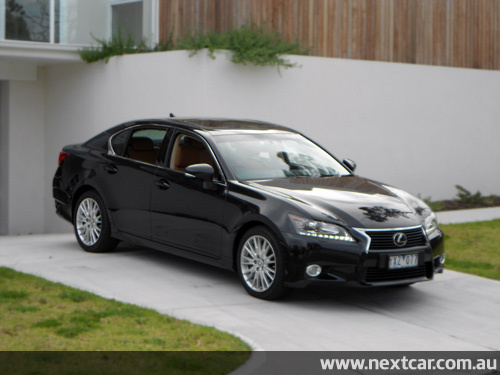 The generously equipped Lexus GS 350 Sport Luxury is priced from $110,150*. 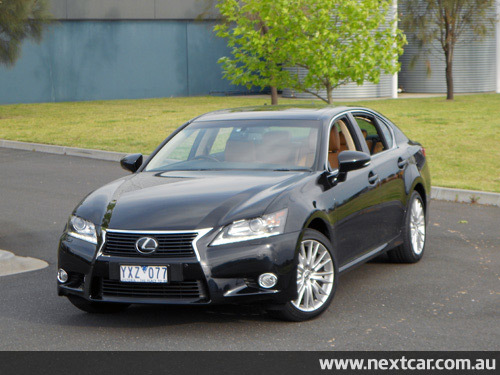 The starting point for the GS 350 line-up is the GS 350 Luxury priced from $90,150*. There are other versions of the 350 between these two price points. Also available is the GS 250 which, likewise, comes in numerous versions. And there's a Hybrid version, the GS 450h, which is also on the local market. The new GS is the fourth-generation of this popular prestige car. The first-generation model wasn't sold in Australia. The new model debuted in USA at the famous Pebble Beach Concours d'Elegance in August 2011. The new model was released here in Australia during April 2012. We couldn't help but notice that the acceleration of the GS350 was pretty good, to say the least. But we were surprised to learn that Lexus indicate that this model is capable of a 0-100 km/h sprint in just 6 seconds. We were impressed by this figure, just quietly, and it should satisfy those who prefer performance over fuel economy. 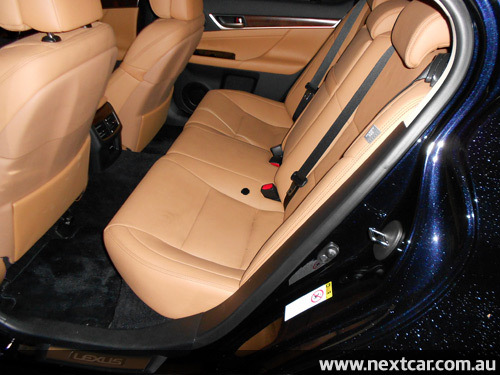 But the most noticeable quality of the Lexus GS 350 was the smooth and quiet ride. The comfort was superb which we discovered during every outing in the GS. Everything worked well. Our driving time with the GS was all suburban streets and urbanised highways in light, medium and heavy traffic conditions for 295 kilometres. Nothing is forgotten in the Lexus GS 350 Sport Luxury, even the rear quarter windows have sunshades! Comfort is absolute. 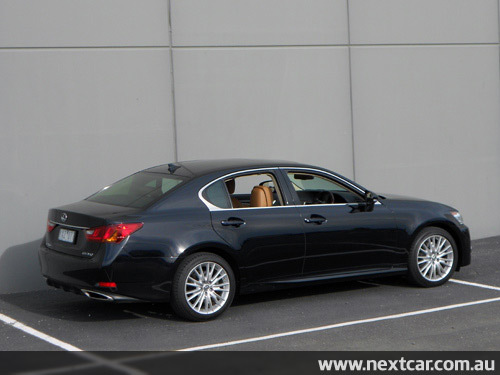 The rear-wheel drive Lexus GS 350 is powered by a front-mounted 3.5 litre (3,456 cc), six-cylinder, petrol-fuelled engine, the test car came complete with 233 kW (at 6,400 rpm) of maximum power and 378 Nm (at 4,800 rpm) of maximum torque. 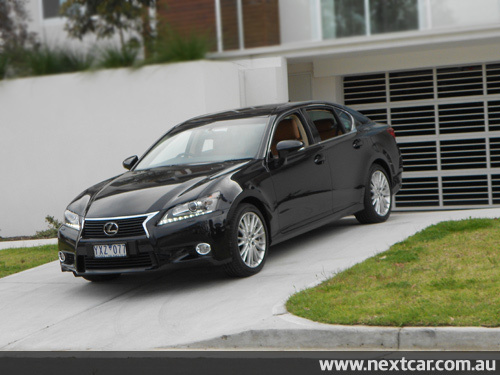 Standard transmission with the GS350 is a six-speed automatic featuring sequential shift. 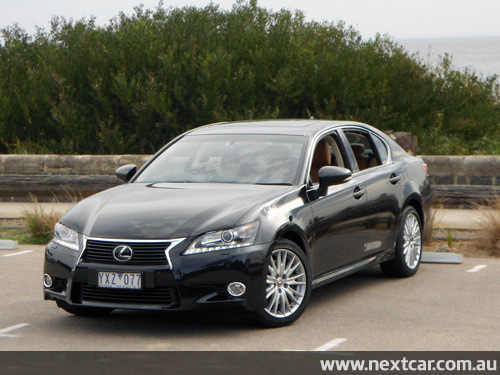 Lexus GS has an all-new chassis, featuring new suspension, steering and brakes, and state-of-the-art chassis electronics. Ten airbags are standard! The driver and front passenger have advanced variable-stage SRS front airbags available if circumstances dictate their use. There is also driver and front passenger knee airbags, front and rear seat side airbags, and full-length curtain shield airbags. Sensors determine the severity of an impact and the speed with which the airbags are deployed. 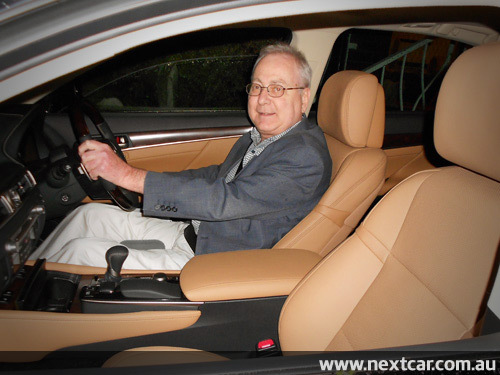 The driver and front passenger knee airbags work with the front airbags and seatbelts to achieve a better distribution of the loads imposed on the body during a collision. Another great safety feature is coming into vogue is the Pre-Collision safety System (PCS), including Pre-Collision Braking (PCB) and Active Cruise Control (ACC). This system works to reduce the severity of a forward collision in certain circumstances. Whilst the driver is always in control (of course) the system will active if the driver's reaction time to braking is slow. The system will not and cannot prevent the car from being in a collision. The Cruise control component will maintain a safe distance between moving traffic that may have varying speeds due to traffic loads. The system is excellent in light traffic conditions but lane changing manoeuvres by other drivers will affect the car's speed. 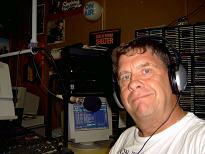 The frequency of interruptions is greater when the traffic is heavier. Often in these circumstances the cruise control is rendered useless anyway. A 'blind spot' monitor is installed into the external exterior rear view mirrors, which is an excellent feature and it is finally becoming available on more and more models. It is an outstanding aid to improve safety when making lane changing manoeuvres. Another great safety feature is camera assistance for reversing. Safety is a key aspect of the Lexus GS. Another excellent feature on the new GS 250 and 350 Sports Luxury models is the Driver Fatigue Monitor (DFM) with face and eye detection. The system can monitor both inattentiveness (driver's eyes not on the road) and drowsiness. It is linked to the latest-generation Lexus Pre-Collision safety System (PCS). DFM uses dual infrared pulsed-LEDs and a camera fitted to the upper steering column casing which is focused on the driver's face. The LED lights of the monitor are nearly invisible to the naked eye. The monitor has facial and eyelid recognition capability. Importantly, this is an aid to safe driving not a substitute for a parent saying "it's time for bed". No ANCAP or EuroNCAP ratings have been published as yet. Although Next Car predicts this new model will achieve the maximum achievable five stars when testing is undertaken. In America, the IIHS (Insurance Institute for Highway Safety) rates the new Lexus GS as "Good" (its highest rating). The only area that was not "Good" being head protection for rear seat passengers during a side impact crash test where the rating for this category was "Marginal" (ratings are Poor, Marginal, Acceptable and Good). Testing by the IIHS was for the GS which is known as a 2013 model in the USA. The "Good" rating, on this occasion, earned the GS a "TOP SAFETY PICK" award from the IIHS, which was announced on 3rd April 2012. On the combined cycle, fuel consumption of the GS350 is rated at 9.7 litres per 100 kms which is an excellent fuel economy figure for a car this size. Urban cycle rating is 13.7, whilst the highway rating is 7.4 litres/100 kms. The fuel tank capacity is 66 litres. Premium unleaded petrol is the required fuel for the GS 350 (minimum 95RON). CO2 emission rating from this car is 225 grammes/kilometre on the combined cycle. The nicely presently leather interior is a highlight. A newly available 12.3-inch LCD multimedia screen, believed to be the biggest in a production car, is well located for easy viewing. Each front seat, on the GS 350, features three memory settings. Front seat heaters and ventilation are fitted, as is rear seat heating for the rear outboard positions. There is, also, a feature packed navigation system included as standard. As indicated earlier, nothing is forgotten in the GS 350 Sport Luxury in my opinion. Just 1,600 kg for a braked trailer, subject to the car having appropriate towing equipment fitted, is the limit for the Lexus GS. An unbraked trailer needs to be restricted to no more than 750 kg (gross). The warranty operates, with conditions, on a 100,000 kilometre/4 year basis. A complimentary service loan car is available (conditions apply). There's comfort aplenty, performance aplenty whilst quality abounds. Motoring in a luxury car, in this price range, doesn't get better than this! © 2012 All rights reserved. Next Car Pty. Ltd.